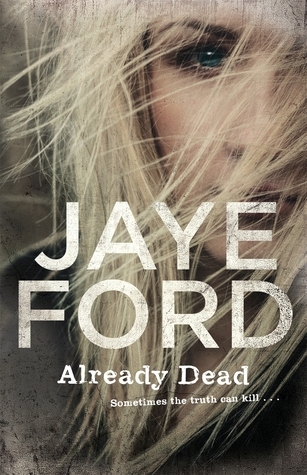 Already Dead by Jaye Ford is a heart-stopping ride of sheer suspense from beginning to end. Waiting at a set of traffic lights to head out of Sydney and to a new life up the coast, journalist Miranda Jack is stunned when a stranger jumps into her car and points a gun at her chest. Speeding up the motorway, Miranda talks to her car-jacker, Brendan Walsh, who claims he’s being chased and they are both now running for their lives. She initially writes him off as paranoid, but then who is the man in the blue sedan that’s following them? Two hours later the ordeal comes to a terrifying end. Miranda is safe, but there are too many questions left unanswered. As a journalist, she’s asked questions all her life. But asking questions is dangerous, and this time she might get herself killed. This book hooked me and I held on tight. I empathised with Brendan, I felt Miranda’s distrust of the police, and I understood her desire for the truth. On top of everything that was happening to her, Miranda wanted to protect her daughter, and help another woman in need. The mysterious Aiden had me wondering, probably as much as Miranda, and it took me a while to warm up to him. Kate’s reactions felt believable and I thought it a nice touch that she didn’t immediately trust Miranda. I loved the way little hints given throughout the story made their way through to the climax. I flipped pages as fast as I could at the end, wanting to know as badly as Miranda what had happened to Brendan that caused him to jump in her car in the first place and who it was that was after him. The ending left me wanting more, but that’s the way it’s supposed to be. I’m so glad I discovered Jaye Ford. I’m certain I’ll be reading more of her books.